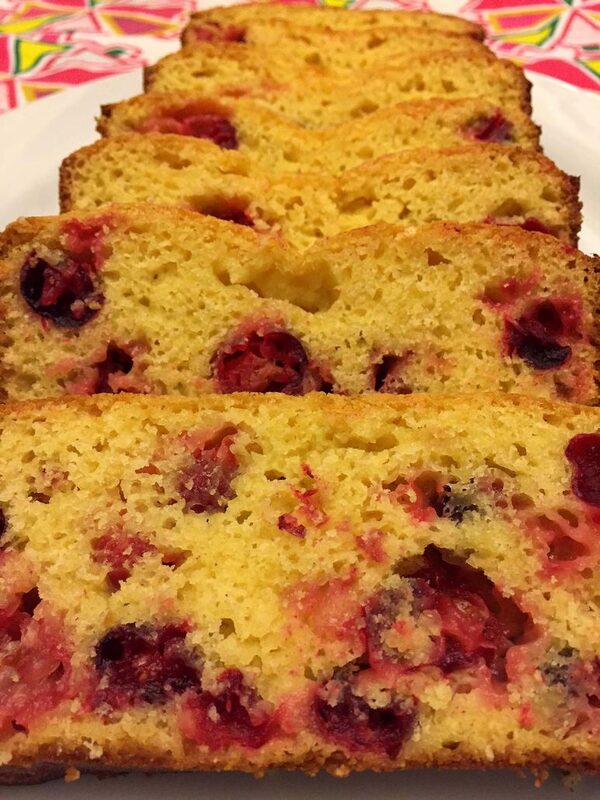 Cranberry Orange Bread – Best Holiday Loaf Cake Recipe Ever! 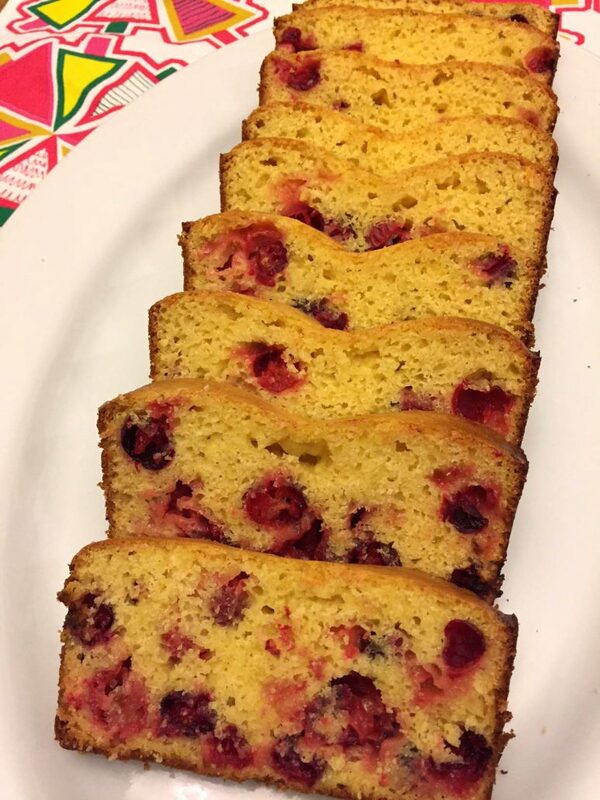 This cranberry orange bread is a MUST make for the holidays! Intense orange flavor and addictive cranberries in every bite, this amazing loaf will make you obsessed! OMG OMG OMG! 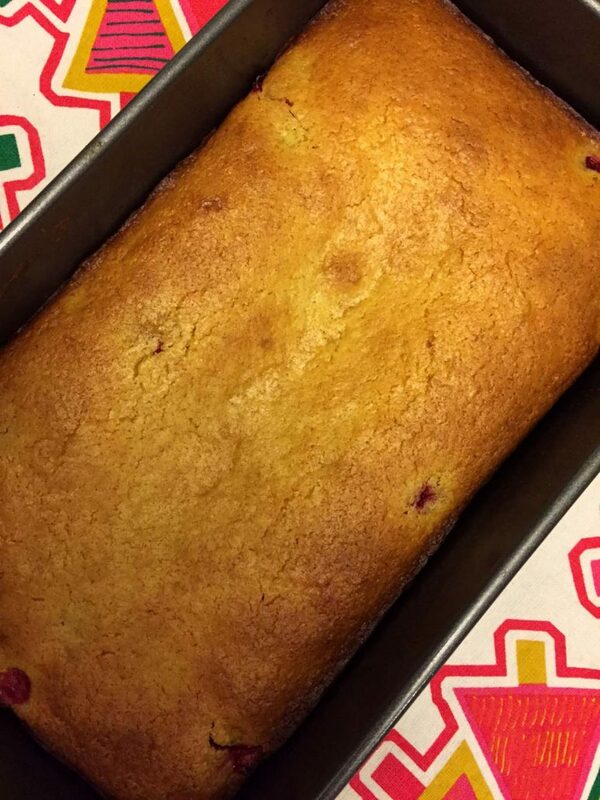 This cranberry orange loaf cake is beyond addicting! When one of those cranberries hits your tongue, your hand will reach for another slice. You’ll wow to take just another last piece of a slice and crumble it off with intention, and then take another “last” crumble to match. The orange flavor is so deep, it’s intoxicating. Smelling and tasting this loaf is ecstasy. No amount of willpower will take you away from this cranberry orange bread. Not even the willpower of steel. This is the most intense orange-flavored cake I ever tasted. 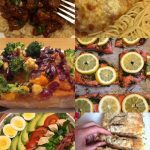 You’ll never find another recipe like this because I invented it (unless it’s my copycat)! The secret of my cranberry orange loaf is about to be revealed. The secret ingredient is the frozen orange juice concentrate. Another peculiar feature of most other recipes for cranberry orange bread is the fact that they chop the cranberries or cut them in half. Can you imagine sitting there and cutting each cranberry in half with a knife? Hehe 🙂 Whoever thought of that nonsense has way too much time on their hands! Do you think Melanie would ever have you perform such tedious useless task? You know me best! 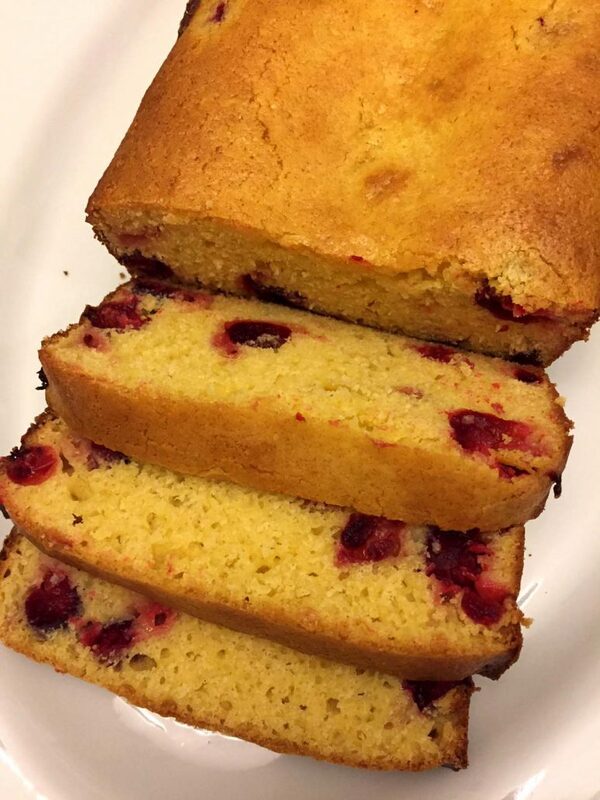 No need to cut the cranberries with my recipe – just dump them whole into the cake batter, they are simply perfect as they are! 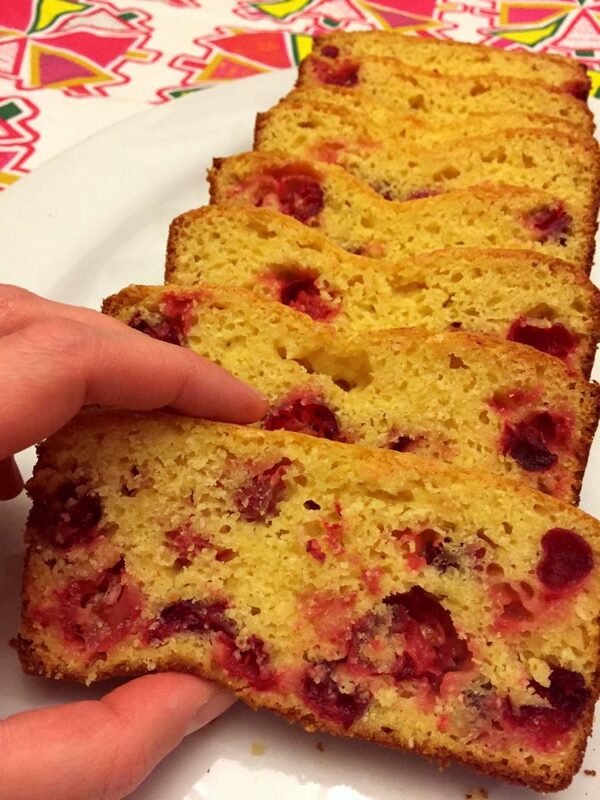 Look at the amazing texture of this cranberry orange bread loaf! Look at those fine cranberries bursting inside for the most refreshing punch of flavor! 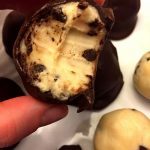 Everyone loves this deliciousness, everyone! 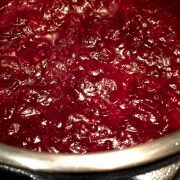 Cranberry orange combo is amazing, and the sweetness of my secret ingredient (orange juice concentrate) conquers the cranberry tartness and turns it into absolutely addictive sweet and sour flavor eruption! 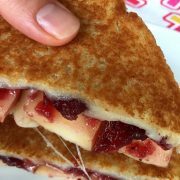 For more festive cranberry madness, check out my cranberry bruschetta recipe. This cranberry orange bread gets even better the next day. Somehow when it sits it becomes more dense and moist and it’s flavor intensifies. After the bread cools, wrap it tightly with plastic wrap and it will stay awesome for up to 5 days. 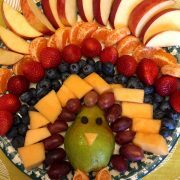 This is a perfect recipe to make ahead for your holiday gathering. The most stuff you make ahead, the less stressful will it be for you to host your party, and the fact that this amazing cranberry orange cake is even more flavorful a day or two later is just the reason you need to put this recipe on your “make ahead” menu today! For more great make-ahead holiday ideas, see my make-ahead mashed potatoes and make-ahead gravy recipe. 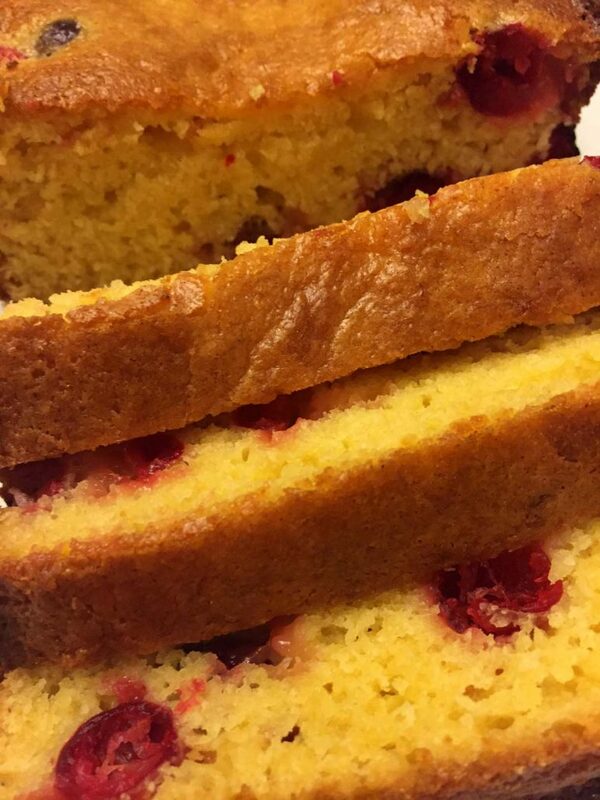 This cranberry orange loaf cake also makes a perfect holiday gift. Give it for Christmas, Hanukkah, Easter, Mother’s day, birthday, teacher’s gift – it works for any holiday and special occasion, you name it! 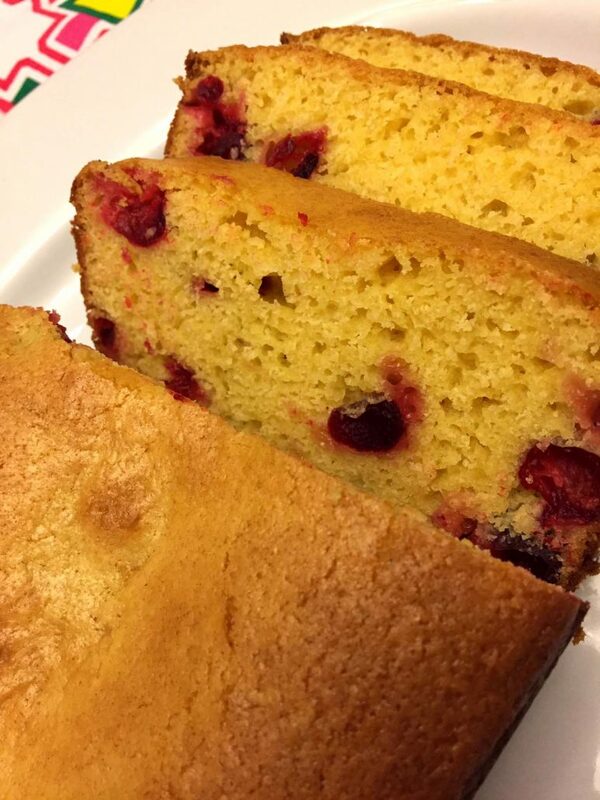 Who wouldn’t love to receive this homemade cranberry orange bread? Deliciousness made with love – it’s a universal present. To package cranberry orange bread for a holiday gift, just let it fully cool, then put in a clear holiday plastic bag and tie the bag on top with a ribbon. Just make sure the bag doesn’t have any holes in it, so the bread doesn’t dry. Or if you don’t have a clear plastic gift bag, you can wrap the bread with a saran wrap and then put it in a regular gift bag with tissue. 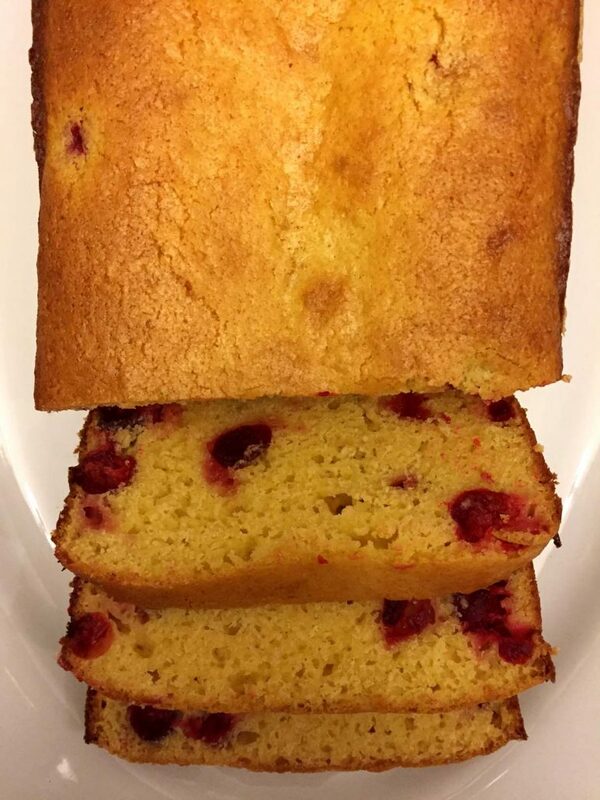 No matter how you package it, this cranberry orange bread loaf is amazing! 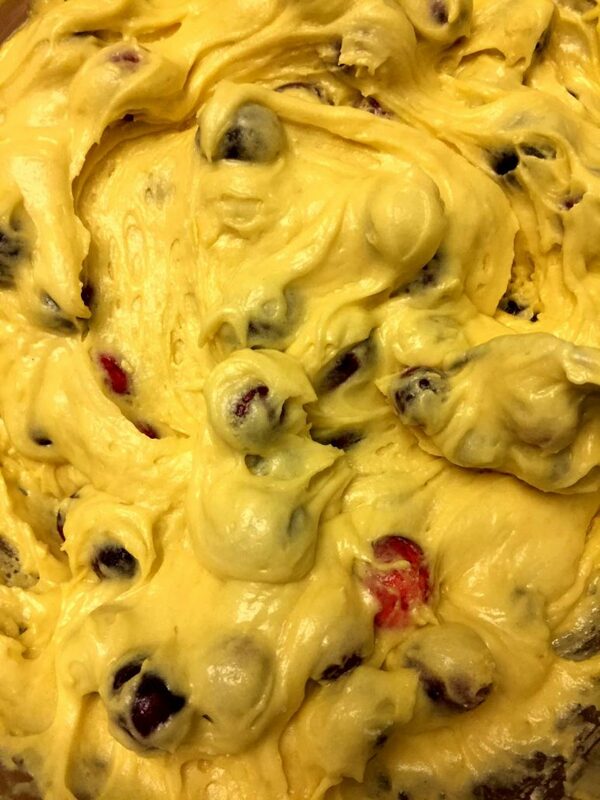 Just take a look at this cake batter. It’s so bright and orange with beautiful cranberries! Just looking at it you’ll know how awesome your cranberry bread will turn out. Even the most inexperienced baker can make this fancy bread because it’s so easy and simple! No need to complicate things when they can be made so easy 🙂 Enjoy! This cranberry orange bread is a MUST make for the holidays! Sweet loaf of bread with intense orange taste and fresh cranberries throughout - mouthwatering! Grease a 9x5 inch non-stick loaf pan. In a large bowl, mix together sugar and butter. Add the eggs and mix. Add orange juice concentrate and mix until combined. Add flour, baking powder and salt, and mix until smooth. Add the cranberries and carefully mix them into the batter with the spoon. Transfer the batter into a greased loaf pan. Put the cranberry orange bread in the oven and bake for 50 minutes. 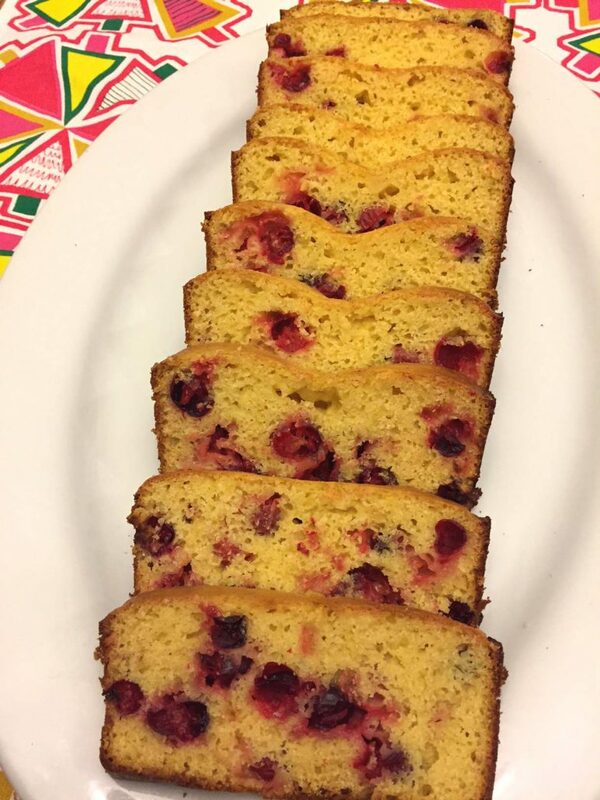 https://www.melaniecooks.com/wp-content/uploads/2016/11/cranberry_orange_cake_best.jpg 1632 1224 Melanie Mendelson https://www.melaniecooks.com/wp-content/uploads/2015/11/logo-new2.png Melanie Mendelson2016-11-30 12:08:092018-09-28 09:45:58Cranberry Orange Bread - Best Holiday Loaf Cake Recipe Ever! 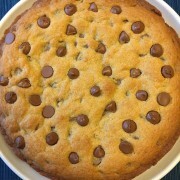 How To Make Chocolate Chip Cookie Cake - Best Recipe Ever! 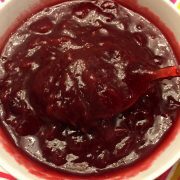 Cranberry Orange Sauce With No Added Sugar - Easy Healthy 2-Ingredient Recipe! Glad to see someone nearly reinvented my Mom’s Orange Cranberry Nut Bread from well over 50 years ago. She always used 1 and a half to 2 cups of whole cranberries to 2 cups of flour and thawed from frozen unsweetened orange juice concentrate plus zest from a whole orange. She loved nuts so also added a cup of pecans or walnuts and she experimented with percentages of whole wheat added to the white flour. But she never made a single loaf at a time. During the holidays she would pour that batter into everything that would hold it, and bake it all up in our little turquoise wall oven. She made it in large, medium and small loaf pans, casserole dishes and assorted tins. My favorite loaves were the ones she made in tennis ball cans! Then we would take all those loaves festively plated or temporarily wrapped and ribboned to friends, neighbors and shut-ins all around Bartlesville, OK, spending time talking to each person. 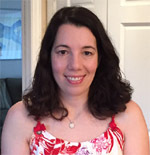 I am now well over 60! 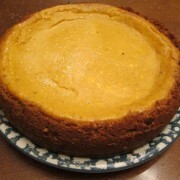 And my Mom got the basic recipe from one of my eldest sister’s friends, a woman named Nancy Parker, now in her mid 70’s! Keep up the good work and great cooking.